Mark likes to drive fast, I like to shoot, so this creates the perfect environment for Drive-By Shooting. Some of these were actually shot out of the window of a moving vehicle, others were hand-held-jump-out-of-the-running rig-and-catch-the-shot type images. I actually went to photo school and art school and this Instagram culture kinda rubs me the wrong way… we were taught to use the tools available to us, including cameras, paintbrushes, our eyes, and our brains. Developing a style was emphasized, learning how to hone our aesthetic senses and use those tools to express ourselves. It’s still about expressing yourself, but today maybe the aesthetics don’t matter so much. So… to find a happy medium… it takes so much time to research your shot, drive to it at the proper time of day (on the right type of weather day of course, which is unpredictable at best in the Pacific Northwest), set up the tripod and remote control, adjust aperture and shutter speed … and right now, with our present situation, I’m not willing to spend that time *yet*. I will, soon, when I am able to secure a new camera, this Canon T4i isn’t so great… great family cam, or snapshot camera, but its not for professional work. 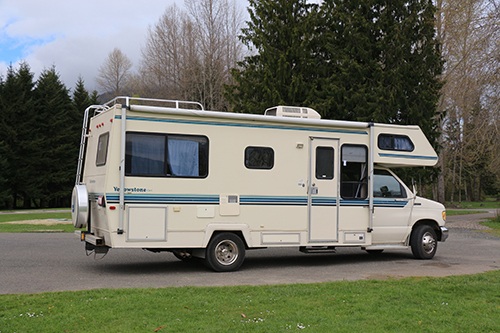 On the road for the first time in our new-old motorhome. 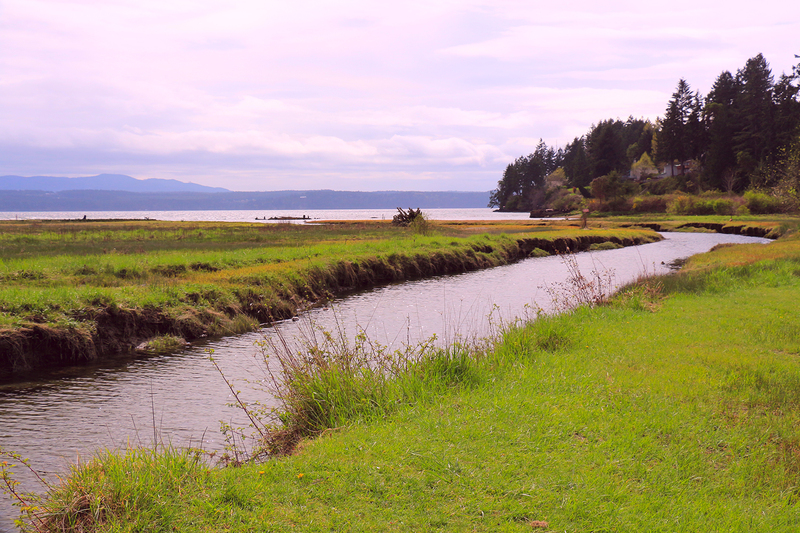 The west side of the peninsula that is Hansville, Washington, adorable little hamlet. Hansville is cool, its at the top edge of a finger of land that is narrow and stretches for miles north into the Puget Sound. It’s quite elevated off the Sound, some of the properties sat on cliffs over the water. 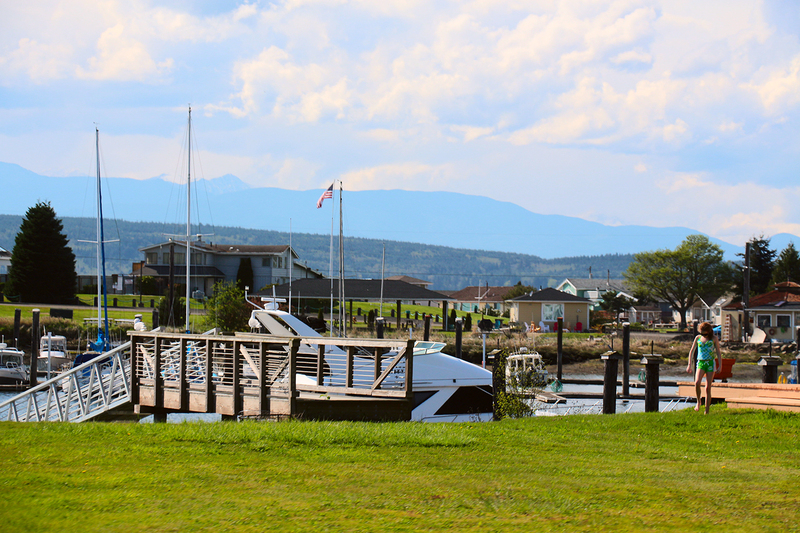 Here we see the little west side of the town, with small lots up the steep terrain and boat docks on the waterfront. Very secluded and difficult to get to, kind of appealing in that way. All along Highway 101 as it skirts the Hood Canal, there are great views of the Canal to the east and the Olympic peaks to the west. It was a lousy day (well not lousy, just cloudy and gray) so I didn’t get any good shots of the peaks (well I didn’t get ANY good shots), but I managed to get this one of Hood Canal from a little park near the Dosewallips State Park. Dosewallips is beautiful, we can’t wait to get up in there, the road leads way back into the National Forest with great hiking and river stuff to do. 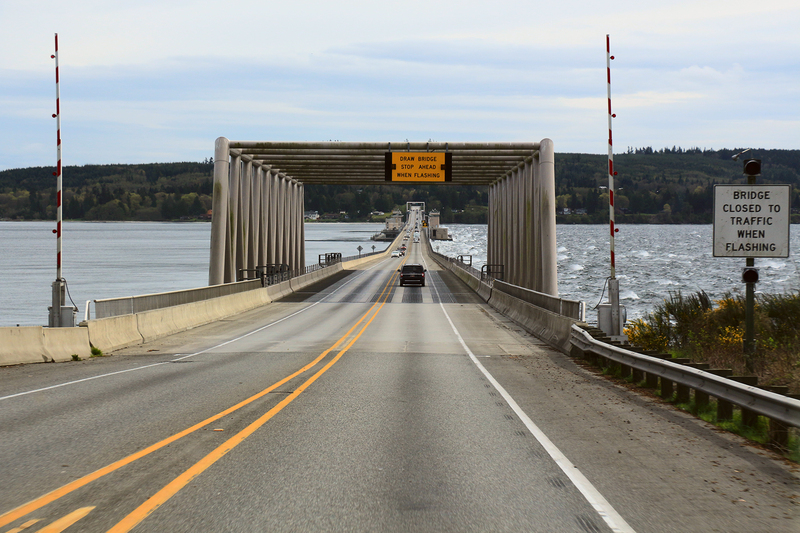 The Hood Canal bridge leading to Port Gamble from the Jefferson County side. We went around from Port Gamble, near Hansville, to Port Townsend by way of the Hood Canal Bridge. 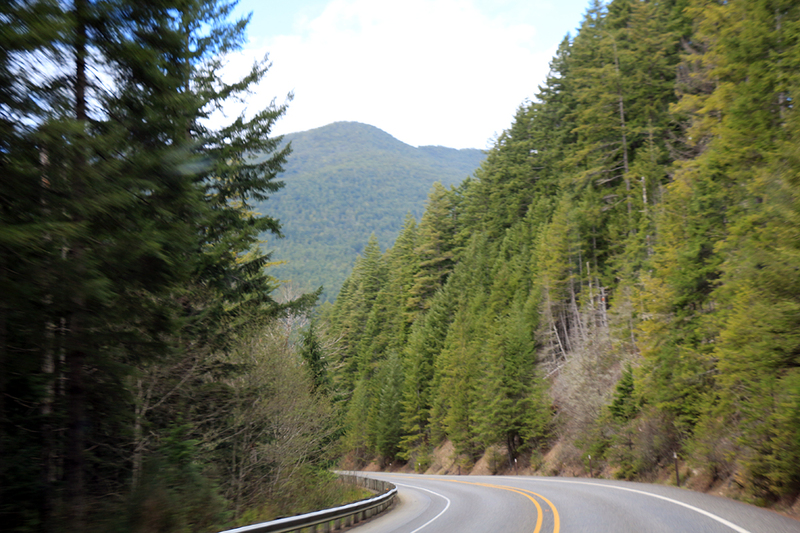 It’s a short bridge, no toll, so its a great way to get back onto the main Olympic Peninsula. Notice in the image the wind is choppy on the right side of the bridge, but the water is eerily calm on the north side. We’ve seen this before, it’s so odd. I love the Puget Sound weather. So thanks for wading knee-deep through my drivel and look for more stuff coming up, we can’t get enough of getting away for the weekend and it seems to be a good way to get material to sell on my stock art sites or draw vectors from, so I think we’ll keep doing it for a while.